Iva DAVIS-SPEARS-PIERSON-HAMMINDS (1900 Speers Ferry, Scott Co., VA) wife of Kemp HAMMOND, daughter of George P. DAVIS and Rebecca A. ESTEP. Man with her is listed as John SPEARS. This is my grandmother. My father was Robert Lee Pierson, mother Phyllis Peters. I married Greg Voliva and have two children Mitchel and Matthew. If you are building a family tree from Iva and would like to include our information, please contact me. Do you have information on Iva’s mother Rebecca Estep and her heritage? I have lots of info on Iva Davis and pictures to share. My grandmother Mary Adra Lee Davis was Iva’s sister. I would be interested in any information you have about the hammond(s) family. Unfortunately my grandfather died when Daddy was 14 months old and my g grandfather died when my Grandfather was only 2 years old. I would be interested to know if Kemp Hammonds was related to Anderson Hammonds m Nancy Williams or to William Hammonds m Julia Ann Jenkins. Thank you for any information you may have or if you could direct me anyone who may have information. Did you find any information on the Hammonds? I am trying to find informaion on Barbara Hammonds Gamble? Barbara Hammonds Spears Gamble (b. 1876; d. 1961). Parents: James and Delilah Hammonds. Married George D. Spears Dec. 1897. Two children: Henry (Lee) Spears and Pearl Spears. Married John Gamble May 1911. 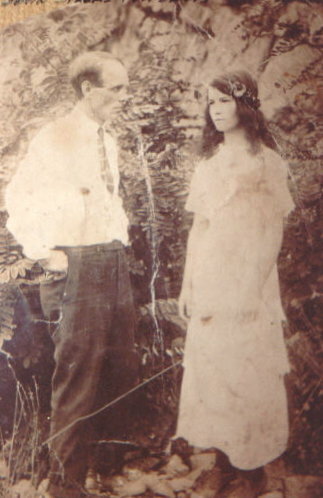 Two children: Ralph Gamble and Dorothy Gamble. (Spellings in records vary – Gambol, Speers, Speer, Hammond). George Spears had 3 sons (incl. John Spears) and 1 daughter from prior marriage. Barbara is buried in Holston View Cemetery, Weber City, VA. Thanks. Barbara Gamble is my great-grandmother. Dorothy was my grandmother – Ethna Pearl was my mother. Correction to my previous post for Barbara Hammonds Gamble: Barbara’s Mother should have been listed as Cordelia Hammonds. If you both could contact me. I am very interested in knowing more or what you may know about Barbara’s marriage to John P. Gamble. I just found your question. I don’t remember if I answered or not. John Gamble was my great grandfather. What questions do you have? You are welcome, Glenda. Barbara Gamble is also my great-grandmother; Pearl Spears is my grandmother. I am happy to share if I have anything helpful to you. I have a picture of her and Uncle Ralph if you want me to send it to you. Send me your email address.